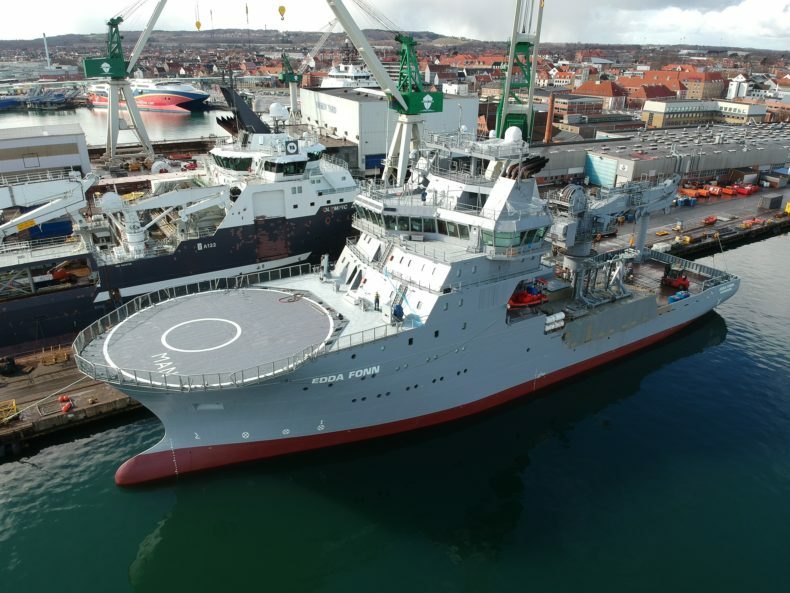 It was in August 2018 that Østensjø Rederi released the news about selling Edda Fonn to the Royal New Zealand Navy (RNZN). – Edda Fonn has served our company to great satisfaction. However, we are very pleased with the sale and it will give our company the opportunity to invest in new tonnage, says CEO Kenneth Walland. Excellent operations and high technical standards make Edda Fonn an attractive vessel with a very good reputation. She was chosen as the most suitable option from a list of 150 vessels reviewed by the New Zealand Authorities. To meet RNZN’s needs for rebuilding and adaptations of Edda Fonn, Østensjø Rederi offered them a “turnkey” solution with a rebuilt vessel. The vessel has, therefore, spent the last weeks being rebuilt in Frederikshavn, Denmark. She is now outfitted with dive-, ROV- and hydrographic systems. Her bright colors have been replaced by the Navy’s grey paint. During the next weeks, 12 New Zealanders and our crew of 13 and will cross many oceans and cover 12,105 nautical miles, before reaching their destination in Auckland. The voyage starts by heading towards the English Canal, along to the French coast, and the Portuguese Azorean islands, before heading towards the Caribbean. The vessel will then transit through the Panama Canal before crossing the Equator and cruising across the vast Pacific Ocean towards Wellington and Auckland. Once in Auckland, Edda Fonn will be re-named HMNZS Manawanui. Her home port will be Gisborne. The vessel will be utilized for military- and Coast Guard functions. She may also be used to carry out crane-, diving- and ROV operations, assisting Pacific nations with rescue operations or handling natural disasters. 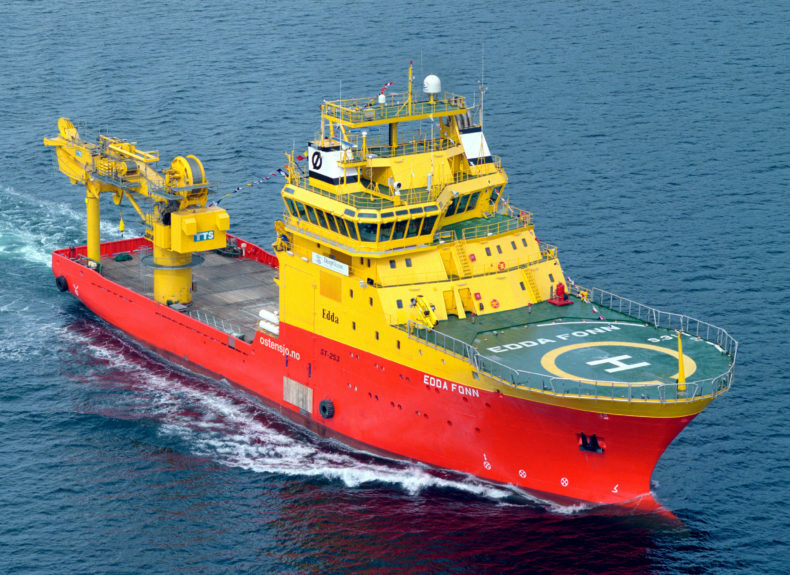 Edda Fonn was Østensjø Rederi’s first purpose-built vessel for the offshore market. She has performed eminently for fifteen years. She will now continue to serve the New Zealand Ministry of Defence for at least another fifteen years, perhaps even longer.